As Brexit looms, pharma trade lobby the ABPI called for a ban on exports of medicines in the case of no-deal Brexit. The industry organisation warned that a plummeting pound could incentivise distributors to sell drugs in markets abroad. Meanwhile, this month’s feature ‘How I learned to stop worrying and love the placebo effect’ looked at what placebos mean for clinical trials. In talking to Harvard professor Dr Ted Kaptchuk, Louis Goss asked what the placebo effect is and what it means. Nevertheless, Swiss multinational Novartis were told they must face kickback allegations in court while our top story covered the news that AstraZeneca’s Lyrica was made a class C drug in Northern Ireland amid more than 30 deaths. 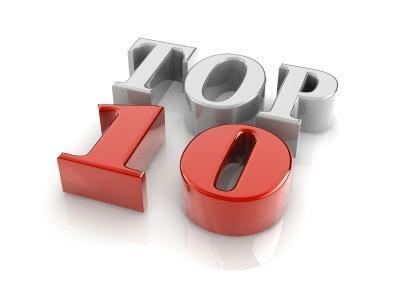 Check out this week’s top ten stories on Pharmafile.com! Sangamo Therapeutics and Pfizer have unveiled new Phase 1/2 data for their jointly developed investigational gene therapy SB-525, demonstrating that the treatment “was generally well-tolerated and demonstrated a dose-dependent increase in Factor VIII (FVIII) levels” across four dosages in severe haemophilia A.
Britain’s cost effectiveness body, the National Institute for Health and Care Excellence (NICE), has recommended Eli Lilly’s Verzenio (abemaciclib) in combination with Fulvestrant, for women with advanced breast cancer. The drug will be available to NHS patients through the Cancer Drugs Fund (CDF). Massachusetts-based bluebird bio has taken a significant leap forward in its pursuit of regulatory authorisation for its first gene therapy, Zynteglo, securing recommendation from the EMA’s CHMP in the treatment of transfusion-dependent β-thalassaemia (TDT). Louis Goss talks to Harvard Medical School placebo expert Dr Ted Kaptchuk in asking what the placebo effect means for doctors, patients and pharmaceutical companies in clinical trials.